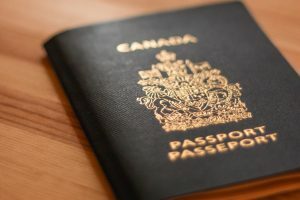 When someone wants to start the immigration process to begin a new life in Canada, a number of questions come up immediately, and one of the most important is whether to hire an immigration lawyer. Given that hiring an immigration lawyer adds to the cost of one’s application, it is important to understand what an immigration lawyer does and how the advantages of hiring one make it worthwhile. Immigration lawyers are highly trained professionals who have studied immigration law at an accredited post-secondary institution before passing the provincial bar exam to practice law in the province of Alberta. Be aware that “immigration consultants” are not immigration lawyers – only lawyers can provide legal representation up to the federal court system, as well as other services consultants cannot. Our immigration lawyers know, analyze and interpret the law to help clients assess the best strategies for the immigration process. We help clients complete paperwork, doing much of it for them which saves time and ensures accuracy. We also assist them to acquire their own pertinent documentation and with submission. It is important to note that with immigration applications, even a single error can delay or derail an application. This can be avoided by hiring an immigration lawyer to prepare your application – they are well versed in the process and will ensure it goes smoothly. When people think of immigration lawyers, they often imagine our services are limited to applications for citizenship or permanent residence. Immigration lawyers can also assist with visa applications and other factors related to immigration, including defending clients who may be facing deportation. Other services provided by immigration lawyers include preparation for citizenship examinations, helping with the starting of a business in another country, and representation in court as it pertains to issues of immigration.